Come celebrate National Poetry Month with us! Six local poets will be reading their poetry, followed by a short open-mic period. The poets are: Sheryl J. Bize Boutte, Grace Marie Grafton, John Rowe, Leticia Garcia Bradford, Gary Turchin, and Tobey Kaplan. Sheryl Boutte will emcee the event. Come hang out and share suggestions for serving you better, make something cool and chat with your Teen Librarian about books, movies and more! Come hang out and share suggestions for serving you better, make something cool and chat with your Teen Librarian about books, movies and more! 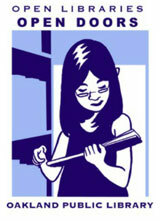 This month’s craft is Tortilla Press Printmaking! Make greeting cards for any occasion and learn how to make a simple circuit to light them up! All materials provided. For youth ages 12-18. 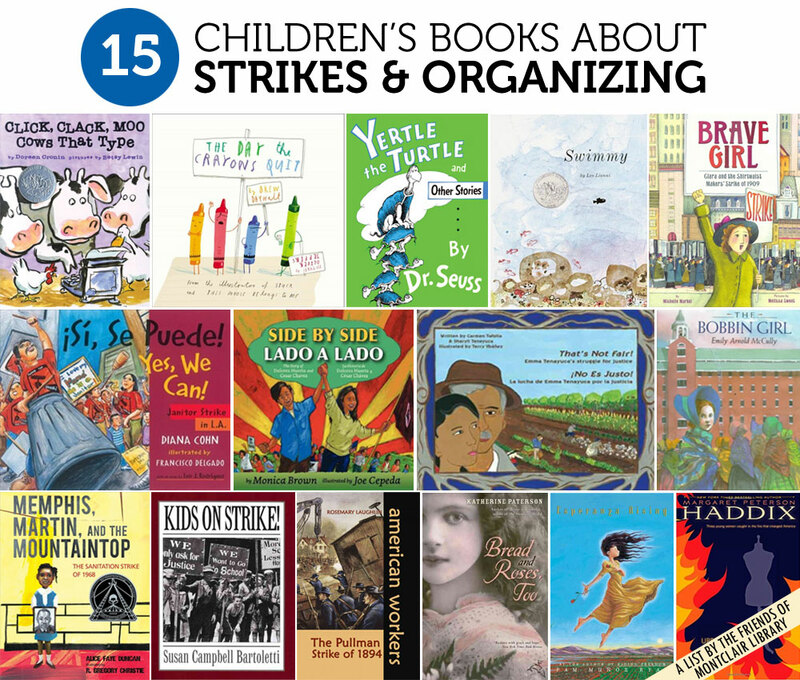 With many Oakland school kids continuing to be out of school this week due to the teachers’ strike, I thought it would be a good time to explore some kids’ books about the labor movement, to provide some background for kids on why unions and strikes are important and the role they’ve played in American history. Although Cronin treats the story humorously, it’s actually a brilliant illustration of the power of collective bargaining. When Farmer Brown’s cows find a typewriter they start making demands, and go on strike to get what they want. Duncan arrives at school one morning to find his crayons have gone on strike, leaving him a stack of letters detailing their grievances about how he uses them. Dr. Seuss’s stories often display a strong sense of justice and rights for the little guy, including the turtle Mack, who refuses to be squashed (literally) by the dictatorial king Yertle. A little fish shows the other little fish that they can defeat the bigger fish who want to eat them by sticking together. When Carlitos’s mother and the other janitors go on strike for higher wages, Carlitos and his class make signs to support them. Based on an actual strike that took place in 2000. The true story of immigrant Clara Lemlich, who helped organize the influential 1909 women laborers’ strike (also known as the “Uprising of the 20,000”) to protest the unfair working conditions in New York’s garment district. Recounts the 1968 sanitation workers strike in Memphis, Tennessee, where Dr. Martin Luther King, Jr. gave his final speech to strikers the night before his assassination, and details the perseverance of strikers before and after his death. When Esperanza and her mother are forced to flee their home in Mexico and become farm workers in the United States on the eve of the Great Depression, they find themselves living and working in harsh circumstances. “Some workers try to organize the laborers to strike for better living conditions and pay, but the glut of workers coming to California in 1935 dooms their efforts.” (The Book Report Reviews 2001) This book isn’t exclusively about the labor movement, but it does explore some of the background on a personal level.